Of course, every fan of ‘The Walking Dead’ needs each season on DVD so they can watch their favorite scenes over and over. Get the first 4 full seasons for DVD or Blu-Ray on Amazon for great low prices and fast shipping! You and your favorite Walking Dead fan will have tons of fun freaking your house guests out with the The Walking Dead Zombie Table Lamp or this ultra creepy Walking Dead Pet Zombie Vinyl Bust Bank! A must have for every fan of the zombie drama is the Walking Dead Fight the Dead Fear the Living Disappearing Mug which turns colors with the temperature of the liquid inside. The Walking Dead Fleece Blanket is also a great pick for snuggling up on chilly nights and watching your favorite episodes! Prove you two have what it takes to a survive a zombie attack with these fun Walking Dead board games! 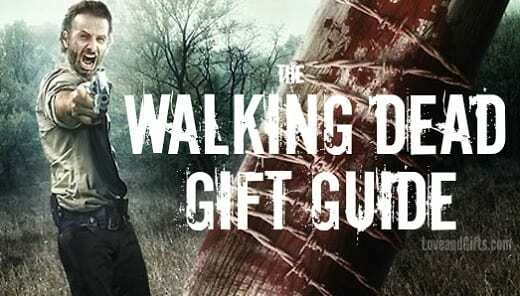 Which gift idea if your favorite on our Walking Dead Gift Guide?! Let us know in the comments below! Watch the trailer of ‘The Walking Dead’ season 5 below and tune in to the premiere episode this Sunday October 12, 2014 on AMC.